Since it’s official that the real estate brokers exam will be on March 27, 2011, I know a lot of you out there are looking for accredited service providers that offer the required one hundred twenty (120) credit units of real estate subjects and training. Here’s a compilation of service providers that I have stumbled upon. I’m really sorry this was delayed and I found some seminars have already started. Sorry about that. Anyway, if anyone finds a seminar that is not on the list below, please do leave a comment so I can add it as well. Thanks! Update as of December 11, 2010 – I just heard that The PRBRES will release the guidelines for the seminars/review by next week and the CRESAR may soon be referred to as REBSAR or REBSAT. I’ll post the guidelines once these become available. Thank you to CRB May Ann Fajardo, 2010 President of REBAP-Makati, for informing me about this by leaving a comment in my post about the RESA Law IRR. Limited participants of 125 only; 1st come-1st served basis will strictly be followed. Fee is inclusive of meals, materials & Certificate. Thanks to Hannibal Dimalanta for sending this to me. Pursuant to Implementing RULES and REGULATION (IRR) of the REAL ESTATE SERVICE ACT (RESA) 9646 of 2009. 3. Urban Institute of Real Estate 120-credit-unit training seminar for prospective examinees in the board examination for real estate brokers. Thank you Eden for sending this! *Please take note that Urban Institute’s CRESAR is still subject to approval and final accreditation of the Professional Regulation Commission. I talked to Engineer Enrico Cruz about this and he said he decided to go ahead and announce the seminar while waiting for the accreditation because it might be too late if he waited for it, which I believe makes sense. Just call him up if you have any questions or concerns using the numbers below. In preparation for another licensure examination for those aspiring to be licensed real estate brokers, subject to the approval and final accreditation of the Professional Regulation Commission, through PRB-RES. PRC’s Real Estate Board, the Professional Regulatory Board for Real Estate Service (PRB-RES), and in compliance with all the rules of the Real Estate Service Act (RESA), URBAN Institute of Real Estate will conduct the required 120-credit-unit training seminar for prospective examinees in the board examination for real estate brokers set in March 27, 2011. Makati Section will be at AIM Conference Center, Legaspi Village from January 8 to February 28, 2011, Saturdays, Sundays and one regular day (mostly Mondays), 8:30 to 11:30 AM, then 12:30 to 2:30 PM. In Quezon City it will be at Maximo Function Room, Max’s Restaurant, Gateway Mall, Cubao, January 4 to February 24, 2011, Tuesdays, Wednesdays & Thursdays, 8:30 to 11:30 AM then 12:30 to 2:30 PM. The course will cover the following topics: Fundamentals of Property Ownership; Code of Ethics and Responsibilities; Legal Requirements for Real Estate Service Practice; Real Estate Brokerage Practice; Subdivision Development; Condominium Concept and other types of real estate holdings; Real Estate Finance and Economics; Basic Principles of Ecology; Urban and Rural Land Use; Planning, Development and Zoning; Legal Aspect of Sale, Mortgage and Lease; Documentation and Registration; Real Property Laws; Real Estate Taxation and other subjects that may be later prescribed. Engr. Enrico Cruz, 1st and 8th placer in the real estate appraisers and brokers board examination respectively will directly manage and supervise the conduct of this seminars. Engr Cruz and son Prof. Atty. 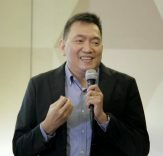 Rex Enrico V. Cruz III, and other real estate experts will compose the team of lecturers on the subjects officially prescribed by the Professional Regulation Commission. This was contributed by Argel of http://bit.ly/argelinspires, Thank you Argel! Review schedule will start on January 7, 8, 9, 14, 15 & 16, 2010, 8am-7pm. Total of 60hrs.Seminar fee is 9,000.00. Since there’s still no released guidelines from PRC, we only set 60hrs, but if they require us 120hrs, additional dates are Feb. 18, 19, 20, 25, & 27 so that we can meet their requirements. Additional 9,000.00 for the seminar fee. You may reserve your seat thru depositing P2,000.00 on our BDO account. Account Name: Cesar E. Santos Real Estate Academy, Inc. I have also listed down some providers whose CRESAR’s have already started along with their respective contact persons. They might have a future batch/schedule so it might be worth calling them up as well to inquire. 1. PAREB-MARIKINA VALLEY REALTORS BOARD, INC. I got this from Stefany Uy’s blog. Thanks Stefany! PAREB-MARIKINA VALLEY REALTORS BOARD, INC. I got this from Real Estate Seminar and Review, a site full of useful information for those who want to become a licensed real estate broker in the Philippines. (Details for past CRESAR’s of PMRB can be found here: http://www.realestateseminarandreview.com/archives/pmrb-cresar-december-2010/). If you know of any other CRESAR’s that are not listed here, please leave a comment so I can add. Thanks! Happy learning and good luck!